We had a rare treat earlier this month – 24 hours in Jersey without the kids. Before I go any further I would thoroughly recommend you spend much more than 24 hours in Jersey – for a small island that you can drive around in just an hour and a half, there’s a lot to do. We easily filled our short break on the larger of the Channel Islands and were left wanting more. 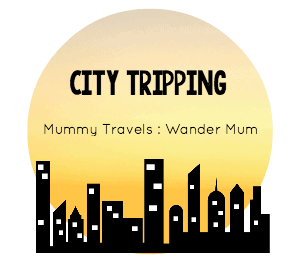 It’s also somewhere I’d return with our children as we saw plenty of things they would enjoy, from digging holes on the numerous sandy beaches to visiting attractions like Durrell Wildlife Park and aMaizin! Adventure Park. Like any couple that’s been handed time off their parenting responsibilities, we opted for a few of the less family-orientated activities that Jersey has to offer. But first, we hired a car. Arriving in the capital St Helier early Friday evening and being picked up again for our flight by mid-morning on the Sunday meant we had to reduce the amount of time it took us to get around the island. Hiring a car and doing it under our own steam was the ideal solution. If you have more time I would recommend touring Jersey onboard one of its Liberation buses that call at all of the villages and attractions. We hired a brand new Mk4 MX5 from Sovereign Car Hire in St Helier. This was Mr Tin Box’s choice as we have a Mk3 MX5 at home and rarely get to use it together now we have two children and a dog. He was also itching to test the new model. While it seemed like a bit of an extravagance when we booked the car (just over £100 including damage waiver and fuel) it made total sense by the end of our day when we had been able to drive around the entire coastline and stop off at a couple of attractions along the way. With its convertible roof it was also the perfect car to tour the island on a sunny weekend. After picking up the MX5 on the Saturday morning, the first place we visited was the Jersey War Tunnels, about 10 minutes drive from St Helier. A lot of friends had recommended this attraction and it sounded fascinating. We were not disappointed. 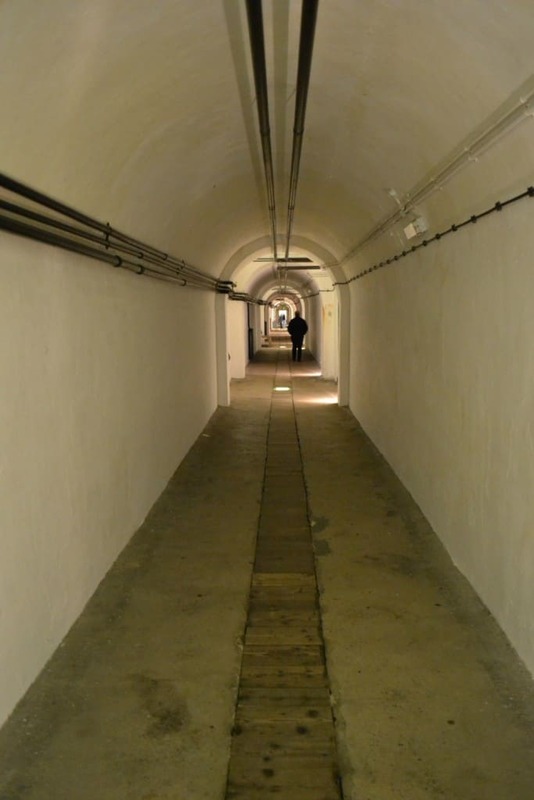 The network of tunnels was built during the German occupation in the Second World War. It is now used tell the compelling story of the invasion, occupation and liberation of Jersey through the eyes of the islanders. I can honestly say that as we walked through those dark damp corridors I felt emotions that I haven’t felt since I visited the war graves in France and Belgium as a teenager. 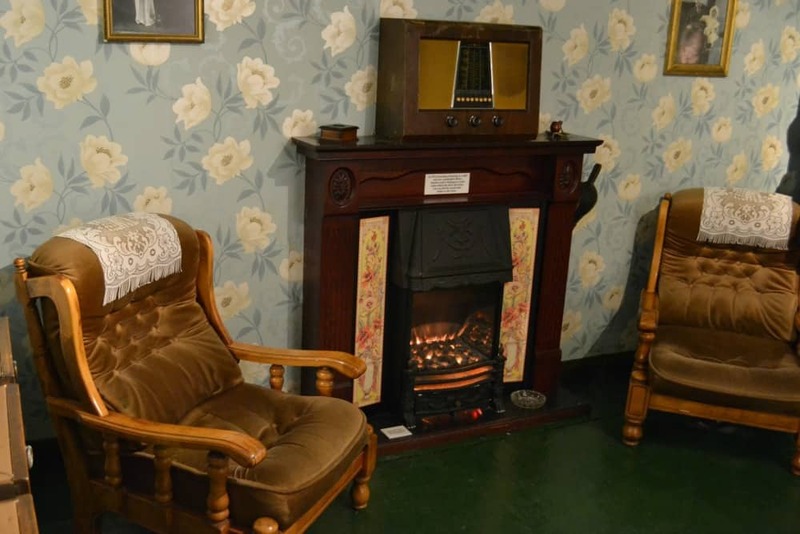 The personal stories of loss, betrayal and resistance told through multi-media displays and recreated scenes from wartime Jersey will stay with me for a long time. Feeling more than a little subdued we hit the coast road, traveling clockwise around the island to La Corbière – a breezy and dramatic vantage point overlooking the rugged Corbière Point and lighthouse in the South West. The weather was beautiful and this lifted our spirits. From here we drove north along St Ouen’s Bay, past the golf club and nature reserve we had flown over when we landed at Jersey Airport. We weaved inland for a short time and then back to the coast for a quick stop at Plemont Bay, which is said to be the island’s most beautiful beach. Sadly when we arrived the tide was very high so we didn’t get a good view of the sandy cove with its sheltered rock pools and caves. We continued our road trip east with a destination in mind for lunch – La Mare Wine Estate near St Mary. This was a one of those places we had picked out as being a bit of an adult treat. We enjoyed a quiet lunch in the Vineyard Bistro, which serves mezze-style boards, wraps and hot meals overlooking the estate’s vines. The Jersey Black Butter and Tomato chutney that accompanied my Mediterranean mezze board was so delicious we picked some up in the shop. After lunch we joined a guided tour of the estate. La Mare was established in 1972 after the then owner Robert Blayney fell in love with the farm house on the land. He decided to create a vineyard and out of sheer luck the soil and climate provided an excellent growing environment. La Mare now produces red, white, rose and sparkling wine, as well as cider, ales, liquors, luxury chocolate, biscuits and preserves. Our tour started among the vines and took us through the winery, kitchens and distillery. One of the eye opening parts for me was finding out how bubbles are added sparkling wine though a slow process of adding yeast and freezing the sediment out of the bottle neck. I’ll be savouring my Prosecco much more from now on! At the end of the tour came the best bit: tasting the estate’s products. Out of all the things we sampled the Jersey Apple Brandy Cream liquor was my favourite. Or was it the Bailiwick? Or the milk chocolate? You get the idea! It was now mid-afternoon and we were at the half way point on our drive around the island. We headed north back towards the sea and stopped for another view across the English Channel at Sorel Point and then Ronez Point – the most northerly place on Jersey. With the clock ticking we drove inland and picked up the coast road at St Catherine’s Bay. As you travel along the of the coast you can see how it has been heavily fortified over the centuries. On the East there’s Mont Orgueil Castle, which was constructed to defend Jersey in the 13th Century, and many small forts built by the occupying Germans during the Second World War. All too soon we arrived back in St Helier. We had enough time to see the last ferry returning from Elizabeth Castle in St Aubin Bay before returning to our hotel for a hour of relaxation in the pool and spa. We were booked into The Club Hotel & Spa in St Helier. It’s a five star, boutique hotel with a one Michelin Star restaurant and small spa. Our transfer from Jersey airport was with Tantivy Blue Coaches and took about 20 minutes. When we arrived at the hotel our bags were whisked away to our room and we were given a short tour of the main facilities. There’s an honesty bar, guest lounge were snacks are served, five spa treatment rooms, as well as both indoor and outdoor pools. The hotel staff were extremely helpful, finding us dinner reservations both nights and even double checking our transfer time back to the airport which was far too early for our return flight. Breakfast was continental-style with an extra charge for hot food. The one thing the hotel couldn’t offer was views as it’s located behind the Fort Regent leisure complex. However it is within easy walking distance of the main shops, restaurants, marina and waterfront. Room rates start at £79 per night in low season (April 2016). I can recommend booking ahead if you’d like to eat at The Club Hotel & Spa’s restaurant, Bohemia. It’s extremely popular. We couldn’t get a table on our first night but the helpful reception staff found us reservations at Quayside – a trendy seafood restaurant with views of the marina. On our second night in St Helier we took up a recommendation from Jersey blogger Emma from Island Living 365 and went to Merchant House. This restaurant is located beside the Jersey Museum and Art Gallery, and serves classic dishes from the reasonably priced set menu. On another tip from Emma we had after dinner drinks at what she billed as the ‘secret cocktail bar’: The Blind Pig. It wasn’t easy to find. We had to ask for directions a couple of times. Eventually a friendly doorman escorted us down a St Helier back alley and through an unmarked door. Yes, the thought that we were about to be mugged did cross my mind! However, as we walked down some stairs and through a heavy curtain our concerns were immediately forgotten. Inside the decor is opulent and the cocktails we were served had quite a kick. Seek it out – you won’t be disappointed. From where we live in Devon, Jersey is a 45 minute flight from Exeter Airport. Flybe has routes to Jersey from 18 other UK airports so there’s no need to travel all the way to London if you are planning a Channel Island break. There are also ferries from Portsmouth and Poole taking between 10 and four and a half hours each crossing. Flying was definitely the easiest option while we were traveling as a couple and meant we could look around duty free without having to worry about bottles of expensive spirits being toppled from the shelves by little people. Mr Tin Box bought himself a new pair of sun glasses, while I was given a mini-makeover by one of the lovely shop assistants. 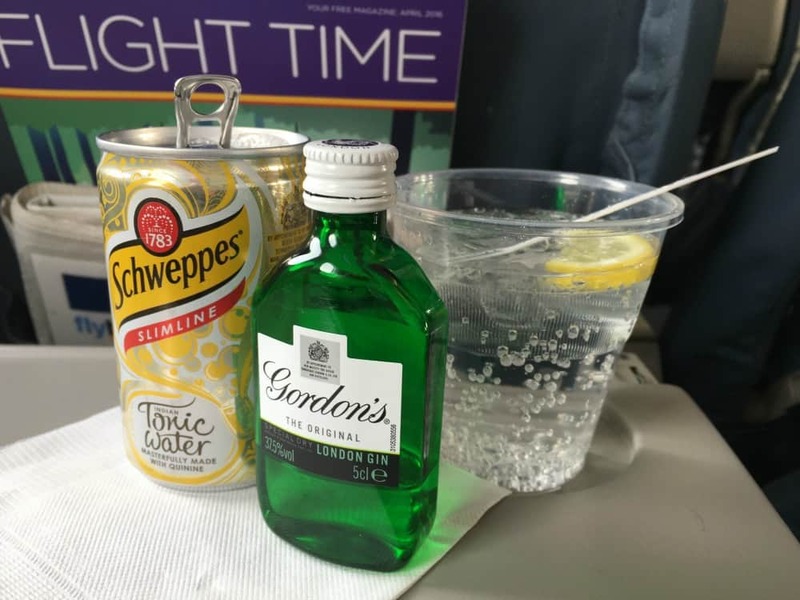 On the plane we even managed to fit in a quick G&T in the extremely short time between take off and landing. When flying without kids, it would be rude not to! If you’re wondering why your return flight from Jersey to Exeter is considerably longer than your outgoing one it’s because you land in Guernsey on the return trip. If you like taking off and landing, consider it a bonus. Parking in Jersey is paid for with scratch cards that you can buy from petrol stations and convenience stores. You can’t actually buy these in car parks so make sure you pick them up before you hit the road. We left Jersey happy and relaxed, having had a great short break, but also longing for more. Next time we may even bring the kids for a family break. 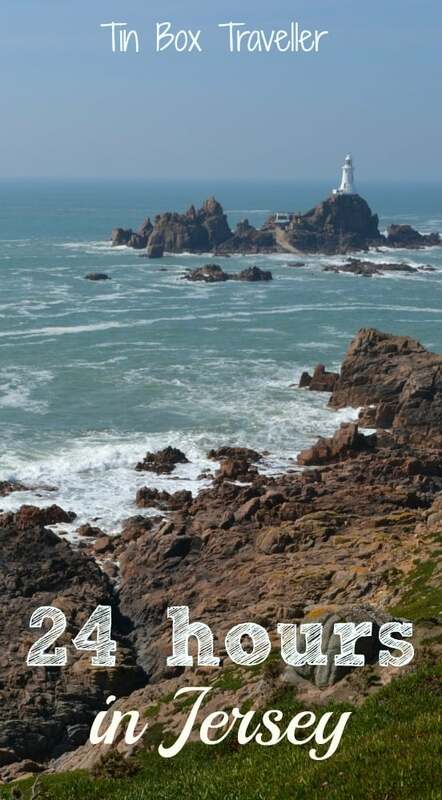 Have you holidayed in Jersey? 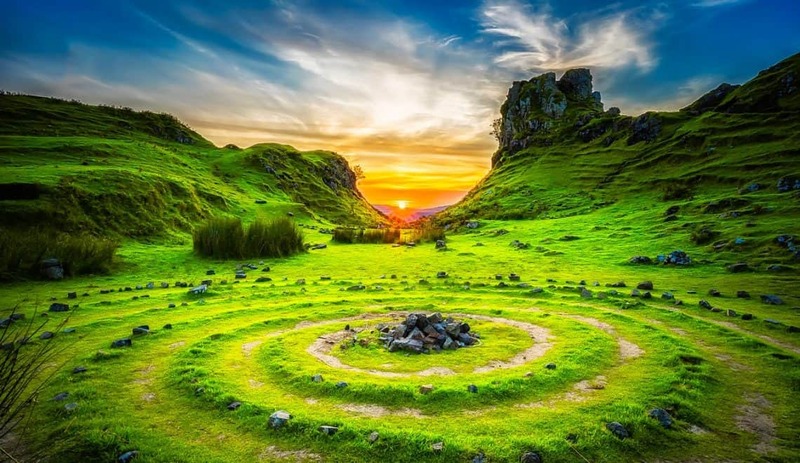 Where would you recommend going if you had just 24 hours to explore? Disclosure: we were lucky enough to win our Flybe flights and B&B accommodation at The Club Hotel & Spa. We also received a Jersey Pass from Visit Jersey which gave us free entry to attractions for the purposes of an honest review. We paid for our own food, cheeky cocktails and car hire. Those Channel Islands sound exciting! Wanna visit! A two-seater sporty car for a grown-up weekend, a handsome hotel, seafood and cocktails? Next time pack me into the boot! You’re welcome. It was a great trip and I’m so keen to return. Christine recently posted…What’s it like to run the London marathon? Nell@PigeonPairandMe.com recently posted…I’ve been shortlisted in the BritMums BiBs Brilliance in Blogging Awards! What a beautiful place for a break!! You guys did a lot! The tunnel is so interesting, I never heard of it!